John E. Calhoun 85, of Mt. 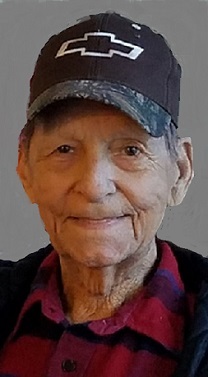 Pleasant passed away on Monday, January 21, 2019, at his home in Mt. Pleasant. John was born on November 21, 1933, in Burlington the son of Frank & Hazel Sullivan Calhoun. He was united in marriage to Dorothy Kemp, then later to Beulah Kelb and then he married Francine E. Dunn on October 8, 1983, at Las Vegas, Nevada, she preceded him in death on December 1, 2007. John farmed for several years and worked at the Iowa Ammunition Plant at Middletown. He enjoyed mushrooming, watching western shows, NASCAR fan, spending time with his Hy-Vee friends and was an avid bowler. John was a very kind and gentle man. John served his country in the United States Army. He is survived by his children; Debbie (Mike) Casson of Cottonwood, Arizona, Michael (Carolyn) Barnett of Palmyra, Tennessee, Monica (Len) Rechichar of Chino Valley, Arizona, Tom (Kim) Barnett of Clarksville, Tennessee, and Robin Snider of Nevada, Iowa, 10 grandchildren and 4 great grandchildren. John is preceded in death by his parents, his wife Francine, one son Rick Barnett, one brother Kenneth Calhoun, one grandchild Michael, and a son-in-law, Howard Snider. Funeral services will be held on Friday, January 25, 2019, at 2 p.m. at the Murphy Funeral Home in Mt. Pleasant with Rev. Gordon Hawkins officiating. Burial will follow at the Salem East Cemetery with full military honors conducted by the Henry County Honor Guard. Friends may call after 2 p.m. on Thursday at the Murphy Funeral Home where the family will be present from 6 to 8 that evening. A memorial has been established in his memory.